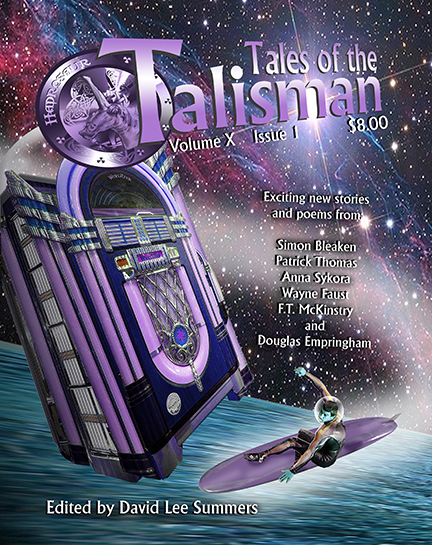 The stories and poems for Tales of the Talisman volume 10, issue 1 have all been edited and they’ve been sent to the artists for illustration. The current plan is to send the issue to the printer by August. In the meantime, I’m working on volume 10, issue 2 and the reading period is now under way for issues 3 and 4. At this point, we’re only five days into the reading period and submissions are rolling in. The good news is that I anticipate assembling two more outstanding issues of the magazine. The bad news is that I’ll likely have to say “no” to quite a few contributors, even if I generally like their stories. Often times, when I discuss story selection with people, the discussion focuses on rejection. What I find interesting about this is that over the years, I’ve found that I rarely look for reasons to reject a story. I actually look for reasons to love a story. Did it have characters I cared about? Was the situation interesting and unique? Was the story told well? Did it provide interesting insight? Was it fun? The reason I reject most stories is that they simply didn’t give me enough reasons to love it. That said, there are some things that will cause me to reject a story outright. For example, sometimes it’s clear the author didn’t proofread their story. There are a lot of wrong words or clunky grammar. If you don’t love your story enough to proofread it before sending it, how can you expect me to love it? Sometimes I read a story and can’t figure out how it can be considered science fiction, fantasy, or horror. Some people just don’t pay attention to the guidelines and send stories that are far too long. 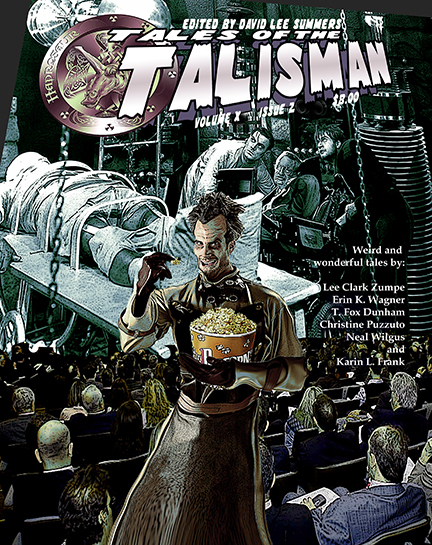 Finally, I have decided that after this reading period, I’ll be putting Tales of the Talisman on an indefinite hiatus. 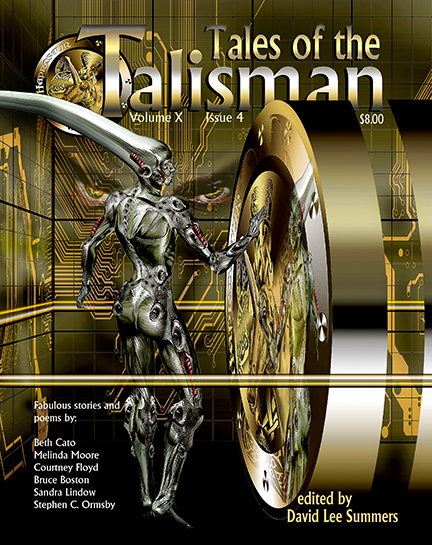 Between Hadrosaur Tales and Tales of the Talisman, I have now been editing a magazine of speculative fiction for 20 years, essentially without break. Sure, I’ve taken off a reading period here or there, but the magazine itself has not ceased publication. Partly, I need some time to concentrate on writing projects I’ve committed to. Partly, I want to consider the best way for Hadrosaur Productions to present short fiction. Ideally, I’d like to offer better pay to writers and artists, but of course, that needs to be done in a sustainable way. An important factor in my decision relates to my return to Kitt Peak National Observatory six and a half years ago. To be honest, I didn’t think the job would last more than five years. Much as I love astronomy, I was uncertain about the funding situation. Admittedly, the funding situation is still not entirely clear, but there is hope for the future. As such, I’m not in a hurry to leave a job where I feel I’m making an important contribution. With a full time astronomy job, a busy writing career, a family life, and possibly a couple of other projects I’m looking into, I find it challenging to devote the kind of time to the magazine it deserves. I’ll just wrap up by noting that this is a hiatus, not a permanent closing. We will continue to produce the magazine through volume 10, issue 4. At that point, I’ll take a break. It’s indefinite only because I’m not prepared at this time to say just how long the break will be. I’m prepared to refund unused portions of subscriptions that go beyond volume 10, issue 4, but will offer supporters the option of continuing when we resume operations. Thanks to everyone who has supported Hadrosaur Tales and Tales of the Talisman for the last two decades!